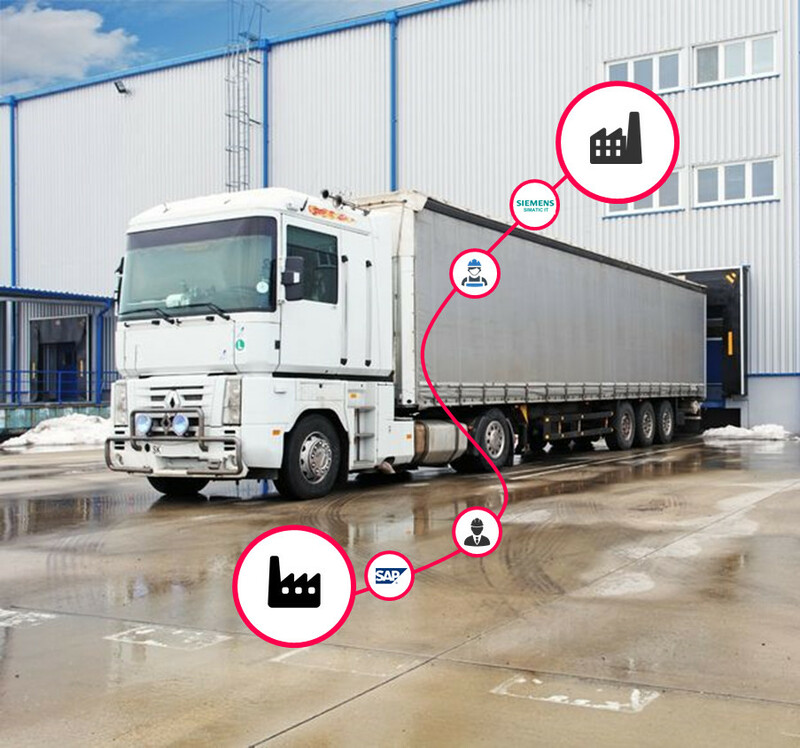 Skyot is a new messaging platform for industrial environments which establish all communications in one simple place, combining industrial machines and services with work teams that participate in the productive process. Create channels for teamwork, departments, projects, plant locations, collaborators or anything you need, and invite only the users able to join. 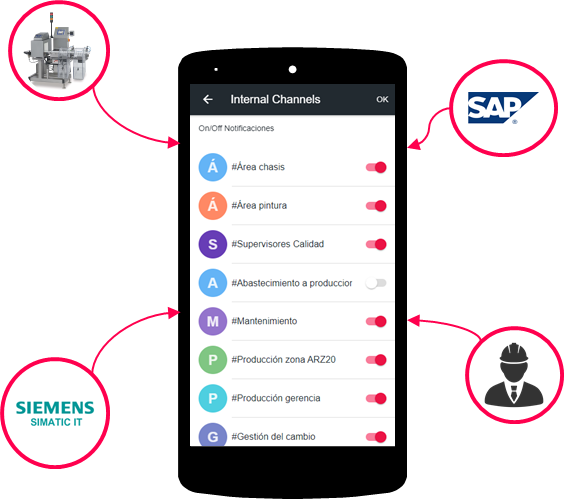 Plug in your industrial machines and services, and receive real time notifications in whatever channels you choose. Subscribe to channels of your interest. Skyot will notify when your systems or colleagues needs your attention. 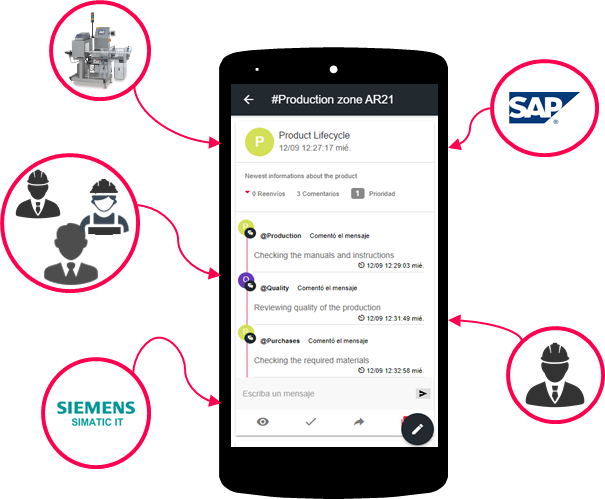 Communicate directly with your teammates inside your channel and discuss about topics and specific tasks, with the support of system information. Real time notifications from systems and teammates of plant-floor. Share documents: images, forms, machine’s actions, specifications, manuals, etc. Skyot allows your teams to mark, resend and add comments along with the document, making collaboration more contextual, transparent and efficient. Communication with system can be in both directions, you can send information or change status of your systems and machines. You can make integrations H2M, M2H, and also M2M. 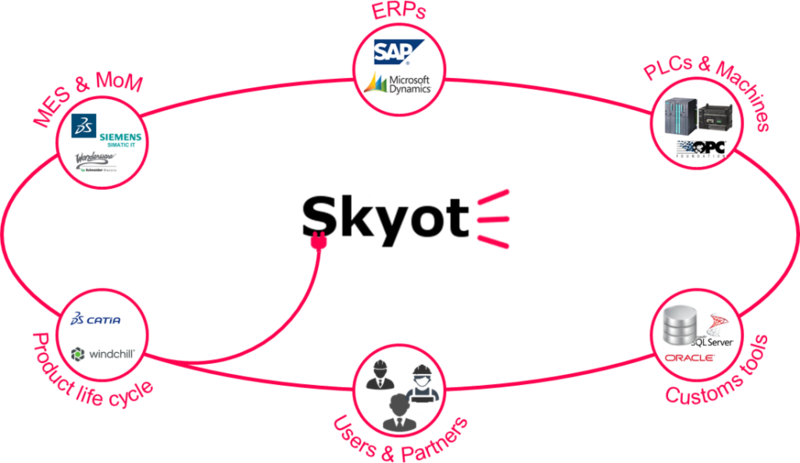 Create external channels in order to communicate with providers, partners and customers, allowing create work teams with collaborators. 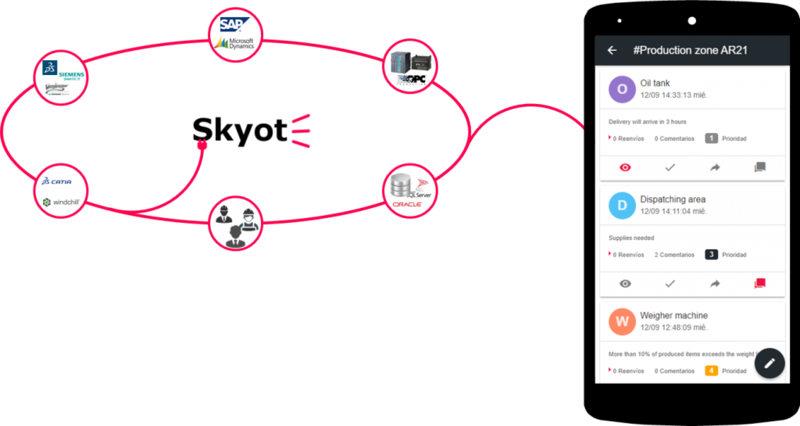 Make easy integrations between your systems and collaborators, and automatize data exchange through all the value chain. 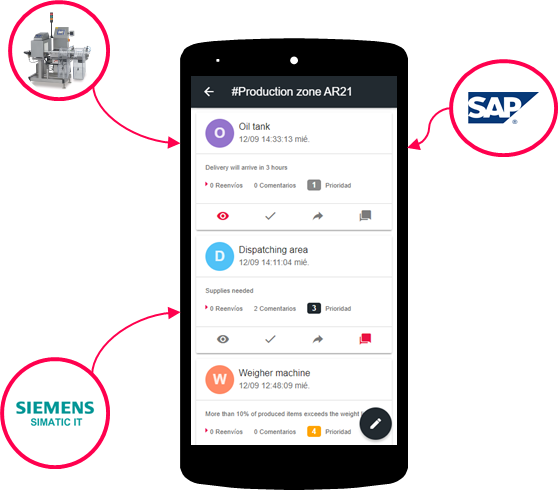 Notifications and alarms from your systems to your external channels where your providers and partners will receive your real time needs, reducing errors and response time. Skyot allows you to have completely private and safe environment. You can decide what information to share into channels and which users can access them.